As a mom, I know how hard it can be to get your kids away from the internet and video games. They can explore entire worlds without having to leave their chair and talk to friends halfway around the world. As a blogger I enjoy spending time reading interesting articles written by other moms. But I also know getting outdoors and doing things that get you active are hugely important, for your brain and for your body. That’s why my husband and I decided to go for a hike with our son along the Trans Canada Trail. 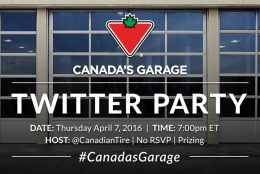 We think this will be a great opportunity to show him a little bit of Canada, and spend some family time, not in front of a TV. Our son is looking forward to it, and is hoping for a challenging hike. We haven’t done that much hiking before though, so we needed to pick up a few new supplies. And first up was a quality hiking backpack. As anyone who’s done backpacking or hiking will tell you, you need a good backpack if you want to last through the hike. Something sturdy and lightweight. We chose the Woods Convoy Backpack from Canadian Tire. Its aluminum frame makes it light enough that our teenage son can carry it comfortably, and the straps around the waist help distribute the weight so the strain isn’t all on the back. We also picked up some new hiking boots for our son. (Because kids never stop growing). 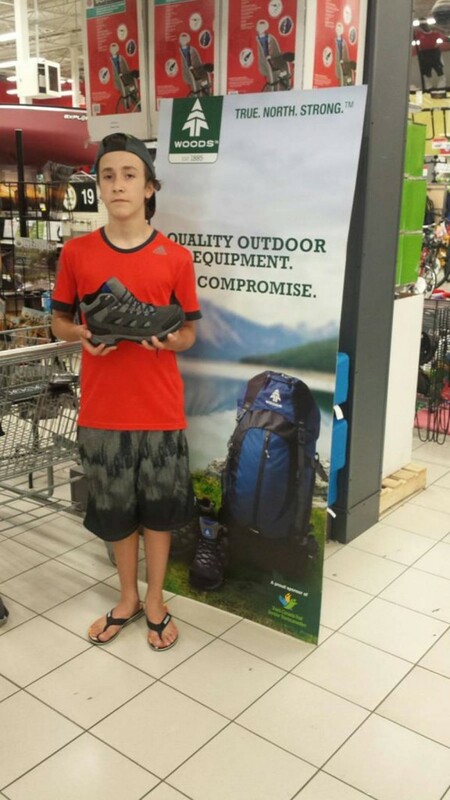 After trying on a few different pairs, our son really liked the Woods Michener Hiking Boots. He’s fairly athletic already, so he knows what to look for in shoes, and it was really interesting hearing him talk about why he did or didn’t like a certain pair of boots. The Woods hiking boots were comfortable, had great grip on the soles, are waterproof, and had good ankle support. And with that, I think we’re almost ready to hit the trail. If you’ve never heard of the Trans Canada Trail, I encourage you to check out their website as it is an incredible project. The trail links across all of Canada, from St. John’s Newfoundland to Victoria, BC, and up into the Northwest Territories. The trail is 80% complete, with a goal of being 100% connected by July 1, 2017 (Canada’s 150th birthday). Chances are there’s a part of the trail really close to you. Why not grab your kids, put on some hiking shoes, and go explore Canada’s backyard. We really hope this experience will encourage our family to go for more outdoor adventures together. I’ll be sharing all the details of our hike with you soon, and of course some amazing pictures once we complete our adventure. 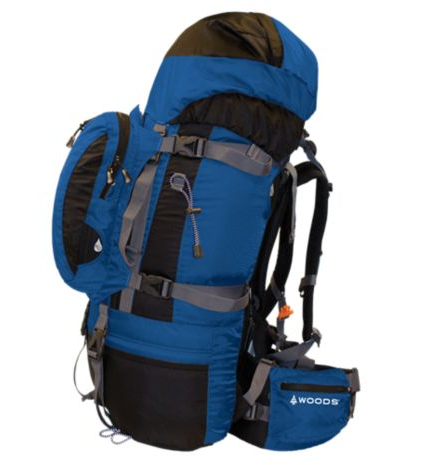 Woods Canada also have a great line of camping equipment. Check out Woods Canada now. For more information about the Woods Canada brand please click here. Please also enter the contest below. 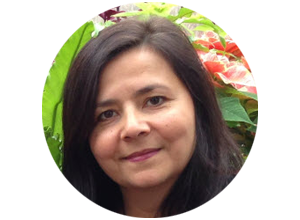 I was compensated for this blog post, however Opinions expressed belong to Simply Linda Blog and are not influenced in any way. 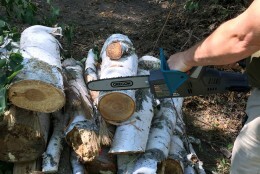 Fall Prep: The hard stuff: cutting branches and logs. I’m really inspired by your blog post! I want to go hiking with my family now, thanks to you! I’m actually really excited by the Trans Canada Trail, this is such a great news! Thank you. I’m so glad you enjoyed the post. Hiking is such a great way to connect with your family.